The Australians had landed stealthily at Kabakaul in the early morning of 11th September 1914. Their mission was to capture the German Wireless Station at Bita Paka several miles south through the jungle of the Gazelle Peninsular in German New Guinea, now known as New Britain. Moving cautiously in tactical formation with rifles cocked, the Australians, a mix of Royal Australian Naval Reserve sailors and newly enlisted soldiers, followed the bush path deeper into the hills. Suddenly gun fire rang out from well entrenched dug-outs on both sides of the track. The Australians dived for cover and returned fire. It was clear that the enemy outnumbered the Australians so messages were sent to the rear for reinforcements. In the meantime several men edged forward to get a better view of the enemy positions. Photo above right of Commander, Joseph Beresford who led assault troops from the Tropical Force. More firing broke out with the deadly menace of native sharp shooters hiding in coconut palms adding to the danger. Able Seaman William Williams from Northcote slumped to the ground mortally wounded in the stomach. Another sailor in the scouting party was Bill Kember. He was a 10 year veteran of the Royal Navy and rushed to Williams’ assistance. Despite the continued fire from German and local native troops, Kember carried and dragged the wounded man nearly half a mile back to the aid post. Once at the aid post the exhausted Kember gently laid his mate down and Captain Brian Pockley, the Sydney born Army medical officer, started to dress Williams’ wound. Realising that early surgery was needed, Pockley instructed Kember and another sailor to take Williams back to the troopship for the necessary medical attention. Fearing an ambush en route Pockley courageously decided to give up his Red Cross brassard to Kember in the hope that the enemy would hold their fire in respect for the internationally recognized non combatant symbol. Photo above right of Billy Williams, the first to fall. With Kember wearing the brassard on his head, Williams was successfully removed to the rear and the advance continued. Shortly after, Pockley himself was hit by rifle fire whilst attending to another wounded man and had to be carried back to the ship’s surgery. That afternoon, Williams succumbed to his wounds, followed soon after by Pockley. Both men were taken ashore and buried at Herbertshohe. The existence of a state of war between Germany and Great Britain was known in Australia on 5th August 1914. Volunteering for an Army expeditionary force to be sent to Great Britain followed almost immediately. Then four days later it was announced that a second force, destined for the tropics was also required. In a little over a week the best trained volunteers were selected for the latter force, and together with a contingent of about 500 Naval personnel, sailed from Sydney on the ‘Berrima’. Their first taste of action was at Bita Paka. 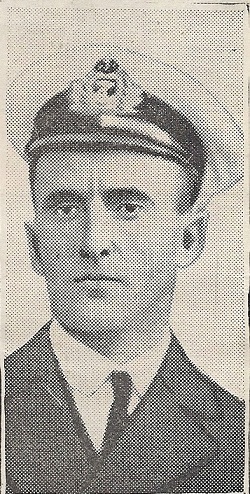 Photo above right of Captain, Brian Pockley, the first Australian soldier to die in the Great War. The Tropical Force as it was termed was entirely successful in its mission. Seven months later the ANZAC heritage was immortalized on Gallipoli. It is seldom acknowledged however that the Tropical Force men, and some female nurses, achieved the first defeat of German forces, on German soil. There were even two Australian Flying Corps aircraft and crews dispatched to support the campaign. Further, the Australians had acted unilaterally under their own commanders for the first time in war, and had achieved a major strategic victory in the Pacific Ocean where the Germans possessed a powerful Naval force. Sadly, as a result of this early victory, Billy Williams, then Brian Pockley, became the first Australians to fall fighting the enemy in World War One. Photo above right of assault troops going ashore near Kabakaul 11 Sept 1914. 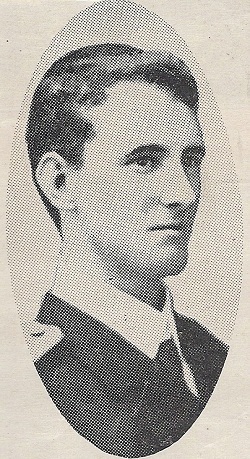 Photo of Lieutenant Rowland Bowen who was wounded by a sniper at Bita Pake. Photo of Navy Officer Charles Elwell was one of seven killed in the fighting near New Britain..